Talent crunch is often a talking point when it comes to Indian analytics scenario. From startups to large corporates, everyone is struggling to find the right talent for various roles in new tech. This month’s theme at Analytics India Magazine is ‘Analytics Hiring Scenario In India’, where we will cover views and opinions on subjects like, what are companies looking at while hiring people in analytics, challenges they face, and how the talent dearth can be overcome. We believe these varied perspectives would help students, fresher and managers to get in idea of what recruiters are looking for, so that they can pull up the socks and brace themselves for the competitive jobs market. 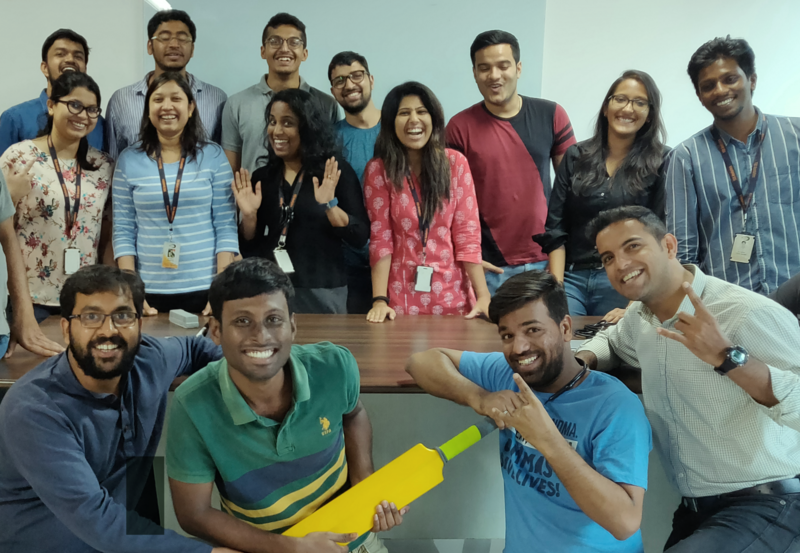 Our first interaction in the series is with Sheeba Rajam who is the head of customer advocacy, operations and talent acquisition at TEG Analytics, a data-science-as-a-services company, which is helping organisations make better decisions at the intersection of business, technology, and applied mathematics. Analytics India Magazine: How is the analytics group in TEG Analytics structured? Is it centralised, non-hierarchical etc.? Sheeba Rajam: We have multi-functional, empowered teams. Our focus is on competency-building and cross-skilling. Analytics India Magazine: What kind of knowledge and skill sets do you look for while recruiting? SR: We look for a combination of business domain and tech skills. More importantly, we look for people with “attitude over aptitude”. Business acumen is just as important, so we welcome experienced people from diverse industries like healthcare, CPG, retail etc. The kind of tech skills we look for include big data, Spark, Scala, Python, R, SQL and data visualisation tools like Qlik, Tableau, R Shiny, D3 and BI, and among others. But what we really look for while recruiting talent is for people who can connect the dots. AIM: What are the efforts by the company in filling up the gap that is often there while hiring the right analytics talent? SR: There is no dearth of talent. The gap that we are talking about is in matching interest levels with what we have to offer. What we look for is people with a passion for analytics. In this rapidly changing world, we need to constantly evolve. At TEG, we embrace all kinds of great talent, regardless of the industry they come from. A big chunk of our recruitment also comes from internal references. Once they become a part of our family, we help them continue to learn and grow. AIM: What is the current scenario of analytics hiring at the company? What are the various positions that you are looking at hiring? SR: We are always looking to hire bright minds at all levels. If we spot someone who has the right mix of business acumen, a go-getter attitude and a passion for analytics, we will bring them on board. AIM: What is the typical hiring process? What are different stages, processes etc? SR: During our first touchpoint, we always check for good communication skills and try to understand if we can match their needs with our wants. We then evaluate their problem-solving skills and their technical expertise. Our final round of interview is always more cultural, to see if they would fit into the TEG family. AIM: What is your advice for an analytics professional who wants to carve a career in the analytics industry? SR: Analytics is not just about tools and techniques. The pace of change is so fast that no matter how tech savvy you are, you already may be one step behind. So develop an interest in intellectual curiosity, keep asking questions and understand the bigger picture, which will go a long way in helping you understand the business context of why we need analytics.